Emilia is a child of divorce from Helsinki. She goes to school, lives with her Mom and sometimes her Dad, and her life couldn’t be more ordinary. But one day, Emilia’s pet guinea pig bites her finger, giving her the secret ability to transform into a furry superhero, who can fly and solve problems. Meanwhile the herrings in the nearby Baltic Sea bay are screaming for help, because their water has been poisoned. 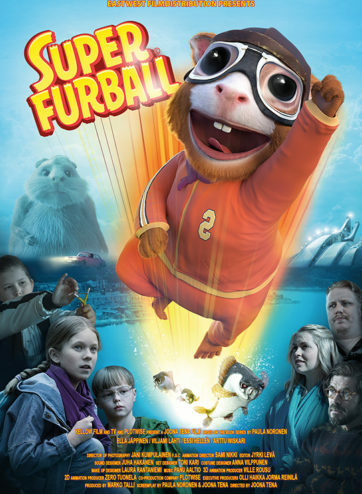 As Super Furball, Emilia decides to help them and finds ways to be more courageous in her own life. Super Furball is a story of courage, friendship, being different, caring for the environment and the wonderful things life can throw at you. The movie is freely based on Paula Noronen's children’s books.